Three teens, Vanessa, Phoebe, and Callie, are attending three different conventions that are being held at the same hotel. A hilarious mix-up brings the three girls together. The Pros of Cons is a laugh out loud book about fandom, storytelling and life changing friendships. The cover provides hints of the humor to be found inside, cleverly representing the three main characters. Vanessa, Phoebe and Callie are likeable and believable characters who are dealing with issues that teens will identify with. 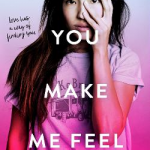 Callie is trying to mend her relationship with her father who has been distant since his divorce, and Vanessa is about to meet her online crush for the first time. 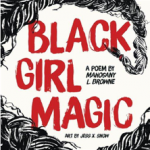 Readers will find a range of ethnically and sexually diverse characters including Soleil, who identifies as pansexual and Merry, who identifies as gender-fluid. 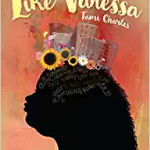 The character diversity, the vivid descriptions of the conventions and their subcultures, plus a series of mishaps will have teens laughing and turning pages. Hand this one to teens who enjoyed The Queens of Geek by Jen Wilde or The Geek’s Guide to Unrequited Love by Sarvenaz Tash. 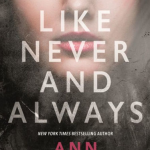 Teens who are interested in cosplay and fan fiction will also enjoy this book. A police officer shoots and kills 12-year-old Jerome, who is carrying a toy gun. 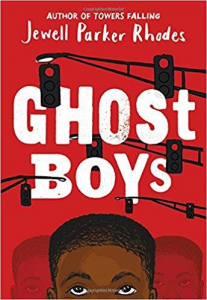 Jerome’s ghost stays nearby, where the only ones who can see him are the police officer’s daughter and other Ghost Boys from the past, including Emmett Till. This ripped from the headlines story captivates the reader’s attention literally from the first page forward. The issue-oriented plot is clearly inspired by the Black Lives Matter movement, and in particular parallels the Tamir Rice tragedy. Historical events and current news are blended in a thought-provoking manner via a visit from the ghost of Emmett Till. This double spaced novel clocks in at just over 200 pages, making is highly accessible for reluctant readers. Although the narrative goes back and forth in time, each section is clearly labeled “DEAD” or “ALIVE”, making it easy for readers to follow. The age of the main character and readability level make this a strong middle grade choice. 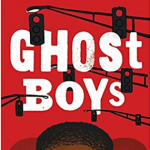 Ghost Boys is a fantastic predecessor for those not yet ready to tackle books like The Hate U Give by Angie Thomas, Dear Martin by Nic Stone, All American Boys by Jason Reynolds and Brendan Kiely, or Tyler Johnson Was Here by Jay Coles. Pair with The Stars Beneath Our Feet by David Barclay Moore.